Preview programmes are a new trend becoming popular with game studios, which allows gamers to feedback into the development process. Steam Early Access and the Xbox preview programme allow gamers to access new titles before they are finished so that they can have a say in the finished product. Small studios are breaking away from the traditional publishing models and incorporating gamers’ opinions into the development process to create a better gamer experience. Some studios are even live-streaming the development of their video games, making the whole process more transparent for gamers. Dutch independent game studio Vlambeer has 12,000 users subscribed to its live-stream; the closer audience interaction also means that there are more gamers advocating the game even from the early stages of development. A number of virtual reality gaming headsets are set to hit the market in 2016, including the much talked about Oculus Rift, Sony’s Project Morpheus and Microsoft’s HoloLens. The virtual reality field has so far been dominated by headset technology, but some companies are exploring different technologies; two Amazon patents recently released have revealed their plans to develop AI technology that avoids the need for a headset. This new take on virtual reality uses a projector and single light source to map a room in 3D space. According to Microsoft, video games and AI research are ‘mutually beneficial’; AI technology can be used to create virtual characters that behave realistically and intelligently within the game world. 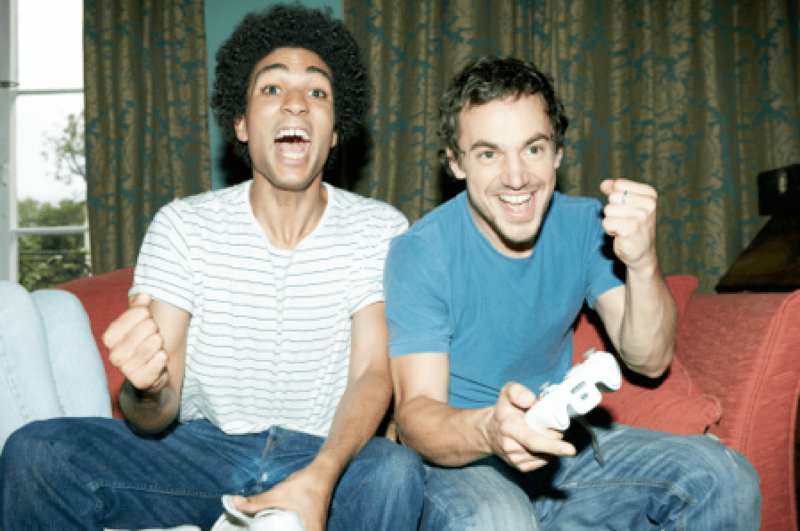 For the gamer, this means that non-player characters are capable of planning and learning in a way that more closely mimics real-world situations. Google has already contributed by creating a network that can look at a complex image and describe in natural language what is happening. For developers, this means utilising some of the new resources for game development that incorporate AI technology into the process. Recent versions of game engines such as Frostbite 3 for PlayStation and Xbox, or FPS creator Reloaded for Oculus Rift incorporate artificial intelligence into their development framework to create more realistic in-game experiences for the gamer. Moving on from artificial intelligence within video games, a researcher at the UK University of Falmouth has created an AI program that develops its own games. The program is called ANGELA – ‘A Novel Game-Evolving Labrat I’ve Named Angela’, and it uses parameters set by its creator to develop video games. It is essentially a computer algorithm that learns to make a game; as time goes on, ANGELA requires less and less input from its creator. So far, the games created by ANGELA don’t compare to human-developed video games, but as the program learns more over time the aim is that it will be able to write its own code and develop independently.